Hi, I’m Melissa! 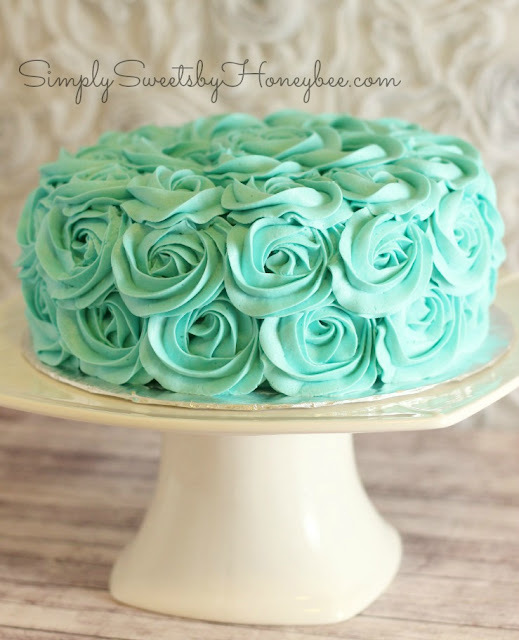 Simply Sweets by Honeybee is where I share decorated cookie, cake and cupcake tutorials as well as recipes and other fun stuff. I’m a wife and mommy to two fur babies named Pepper and Zoe. I work full-time in accounts payable. At night & on the weekends I bake and blog. Most nights I come home so exhausted from work that I consider myself more of a weekend blogger. I discovered my love for decorated cookies in early 2011 when our office building was holding a cookie decorating contest. I had seen decorated cookies before but never made any. I Googled them and found Sweet Sugarbelle. I was quickly lost in her blog and read through most of it in a weekend. I was obsessed. I had to learn how to decorate cookies and I did. I never entered the contest but the rest as they say is history. I realized that I had found something that I not only enjoyed but was good at. I’ve never been an artistic person. My sister is the artist in the family. Cookies became the canvas that I could be an artist on. I didn’t stop there though. I enrolled in a cake decorating class and quickly became obsessed with cakes and cupcakes too. As I made more and more sweets I realized that I wanted to blog about them and share what I was doing with family and friends. Little did I know that the blog would grow from just a few family and friends reading it to thousands of people a day. I’ve always had a passion for teaching and was an education major at one point in time. I never became a teacher but this blog has allowed me to tap into that side of myself by sharing tutorials as well as recipes and tips & tricks. I’m not an expert at what I do. I just have fun sharing what I create with others and showing them how to create too. I’m happy that you’re here. Grab a cup of coffee, put your feet up and take a look around.